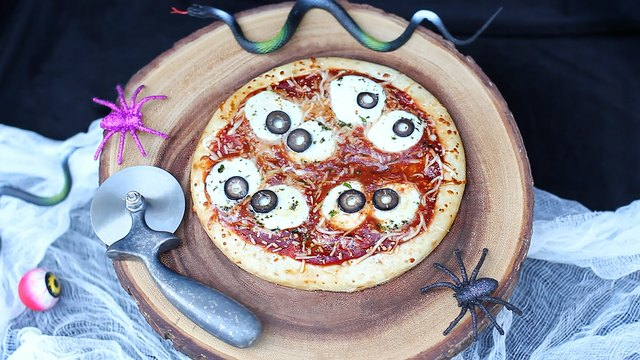 Serve up this devilishly delicious pizza for a truly eye-catching Halloween party dish. But don't lose sight of it; the slices will disappear right before your eyes! First, preheat the oven according to the package's instructions on your pizza crust. 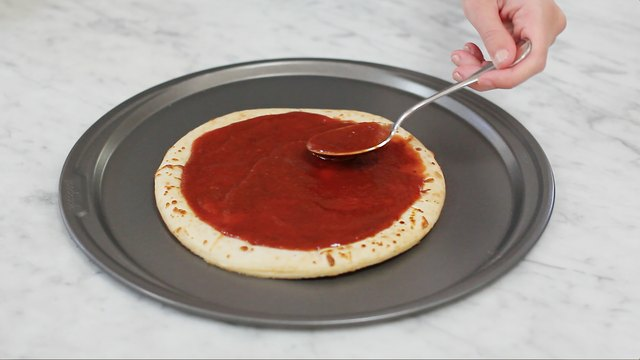 Then spread a layer of pizza sauce over the pizza crust. Sprinkle shredded Parmesan all over the pizza sauce and bake the pizza for 10 minutes, or until the cheese is slightly melted. 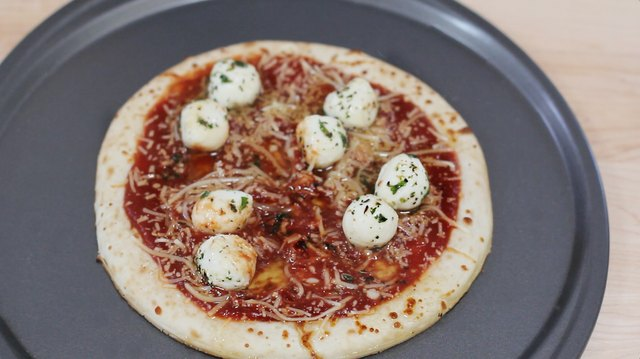 Remove the pizza from the oven and place mini marinated mozzarella balls on the pizza, grouping them in pairs so they look like two eyeballs side-by-side. Bake for another 5 minutes to melt the mozzarella balls. 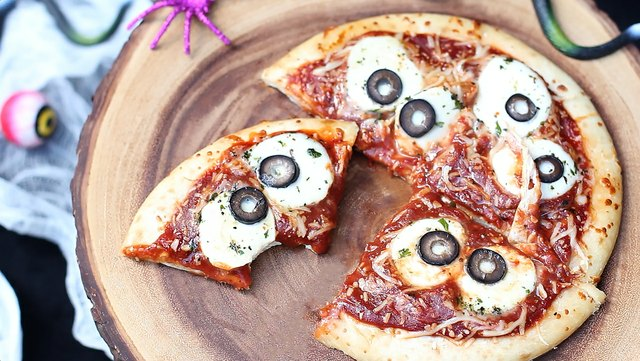 Remove the pizza from the oven and place sliced black olives on top of the mozzarella balls to create eyes. Bake the pizza for another 2 minutes to allow the olives to bake into the cheese slightly. Remove the pizza from the oven. Slice and serve!